Quality Assurance and Horse Safety & Ethics Programs Start This Week! The first of several Quality Assurance and Horse Safety & Ethics training opportunities will begin this week. If your youth are planning to enroll in a livestock project or a horse project, please make plans to attend one of these sessions. A full list of guidelines and dates can be found here. 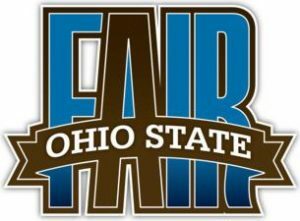 Members enrolled in the following projects MUST attend a Quality Assurance Training prior to June 1, 2019 to be eligible to show at the Hartford and Ohio State Fairs. Members taking an EQUINE project for the first time in 2019 must attend a Horse Safety & Ethics Training. A parent is required to attend with the member. Knox County Quality Assurance Training Programs (Contact #740.397.0401 for program details) March 7 (East Knox H.S.) / April 4 (Centerburg H.S.) / April 15 (Fredericktown H.S.) / May 9 (Mt. Vernon H.S.) / May 16 (Danville H.S.) – all programs take place 6:00 p.m. – 7:30 p.m.
*Please Note: Delaware is also offering session on June 8 – this one does NOT meet Hartford QA deadline of June 1st. The Licking County Rabbit and Poultry Committee will be hosting their annual Youth Rabbit and Poultry Fun Show on Saturday, April 27, 2019. The show will be held at the Newton Township Volunteer Fire Department in St. Louisville. For more information and rules, check out the flyer here. 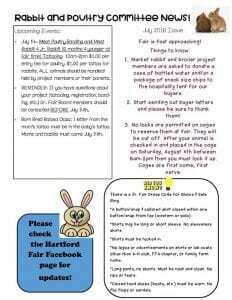 If you would like to participate in the Bred and Raised Market Rabbit Lots at the Hartford Fair, please review the rules and complete a Bred and Raised Market Doe ID Form. 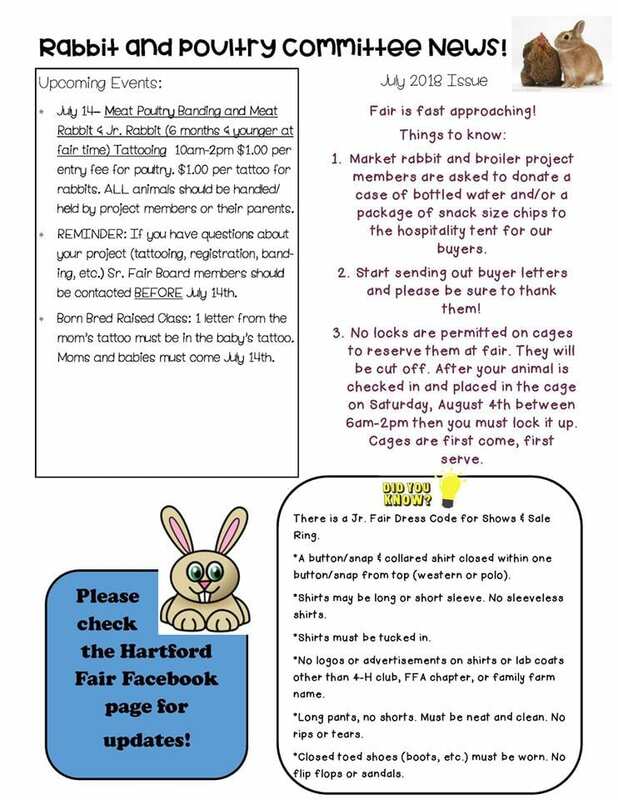 Completed forms must be turned into the Hartford Fair by Saturday, May 4, 2019 in order to be eligible to compete in the Bred and Raised classes. A meeting will be held for the 2019 Ohio State Fair Rabbit Quiz Bowl Contest on Thursday January 31st at 6:00pm at the Licking County Extension Office. This is a wonderful opportunity for all 4-H members who participate in any of the rabbit projects. Each county in Ohio can have up to four teams participate (2 Junior teams / 2 Senior teams), with each team consisting of three to five members. At this informational meeting, we will be discussing the rules, what is expected of the participants, and the materials used in this contest. More information can be found here. As you may be aware, the Ohio Department of Agriculture has confirmed the first case of Rabbit Hemorrhagic Disease virus 2 (RHD2) in the U.S. in Medina County, Ohio on September 19, 2018. Authorities are investigating domestic and wild populations in the area. Whether or not your area is impacted, rabbit owners can benefit from implementing bio-security measures on farm and at home to prevent inadvertent transmission of any illness that could impact the well-being of pets and livestock.